According to a recent report by The New York Times, car accidents are still a leading cause of child deaths nationwide. Many of those killed were not wearing seat belts. In children under the age of 15, the top cause of death is from unintentional injuries, and the clear majority of these injuries are caused by car accidents. Looking at the actual numbers, one study showed that between 2010 and 2015, 2,885 children were killed in car accidents. That is an incredible number. This number does not include those who were killed as pedestrians, on motorcycles, bicycles, or those riding in the back of a pickup truck. Basically, we are only talking about kids who were in a normal passenger vehicle. Another recent study showed that nearly 50 percent of these children who were killed in a car accident were either not wearing a seat belt, or not properly restrained in a child safety seat where appropriate. The other half of the accidents involved young victims who were seated in the front passenger seat of the vehicle or were in a vehicle where the driver was intoxicated. These studies were surveillance studies performed by Brigham and Women’s Hospital in the Kenmore neighborhood of Boston. Some areas were safer than others. While Boston often leads the nation in hit-and-run accidents and other traffic violations, the rate of vehicle deaths in our Commonwealth was 0.25 per 100,000 children as compared to Mississippi, for example, that had a child death rate for auto fatalities of 3.23 per 100,000 children, which is many times higher. If you child is in a car accident, and he or she was not properly restrained, that does not mean you do not have a valid Boston car accident case, but as our experienced attorneys can explain, this may affect the amount of your recovery if you are successful. As we have discussed in other posts on this blog, and pursuant to Title II, Chapter 231 Section 85 of the Massachusetts General Laws (MGL), comparative negligence allows for a contributory negligence to be a limited defense. While this may seem confusing, it makes sense when we break down some of the terms. Contributory negligence is where the plaintiff is at least partially responsible for the accident. 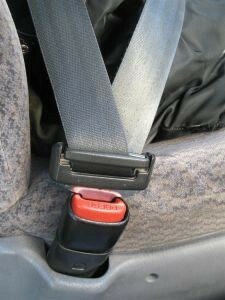 In a traffic accident, if defendant negligently crashes into plaintiff, but plaintiff is injured more because he or she was not wearing a seat belt, it could be said that plaintiff contributed to the damages caused. In some cases, this might be a complete bar to recovery, and these few states have what is known as pure contributory negligence. Fortunately for plaintiffs, Massachusetts has a comparative negligence system. This means that if plaintiff was partially responsible for the damages, the amount of recovery will be reduced according the amount plaintiff contributed to the accident; however, as long at the plaintiff did not contribute to more than half of the damages caused, he or she can still recover. If, however, plaintiff is contributorily responsible for 51 percent or more of the accident, this will likely be a total bar to recovery.